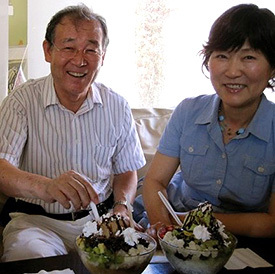 The original Kim 5 — Appa (아빠/Dad), Umma (엄마/Mom), Helen, Jennifer and David — share our dependable top five go-to’s as we do life in and around KTown. If you’re interested in knowing the latest and greatest that Koreatown has to offer — and there are plenty — LA Weekly and Yelp are always great resources. If you’re looking for even cooler, edgier fare, you’ll have to talk to my brother. The Los Angeles Christian Mutual Assistance Foundation, of which I am vice president, holds its monthly board meetings at this restaurant that’s been featuring Korean and Japanese cuisine since 1982. Among other things, the Foundation exists to preserve cultural traditions and provide financial assistance for funerals to its 2,000 members. Yongsusan is a mountain in Kaesung, the capital of the ancient Koryo Dynasty. I bring special guests here to experience full-course Hanjeonsik (traditional Korean royal court cuisine). It’s the only restaurant of its kind in Los Angeles. Honestly, I prefer to stay home and watch videos on my iPad but CGV at Madang Mall is where I would go with Umma if I do go out. CJ CGV, the largest multiplex cinema chain in South Korea, opened its LA location in 2010. It’s small but has the feel of an upscale multiplex and we can catch the latest Korean blockbusters here. South Baylo was founded by my wife’s brother so my family and I receive complementary acupuncture and other Eastern treatments here. It is primarily a school of Eastern medicine but its clinic is open to the public and has experienced doctors providing treatments alongside students. I myself don’t come here for the antlers but for quality herbs at a good price. I love the smell of medicinal herbs and have always taken an interest in Eastern medicine. I come here with a list of ingredients from the doctor and brew the herbs myself in a pressure cooker at home. It’s a painstaking, time-consuming process but this way I know exactly what went into the concoction. It’s for my family, after all. 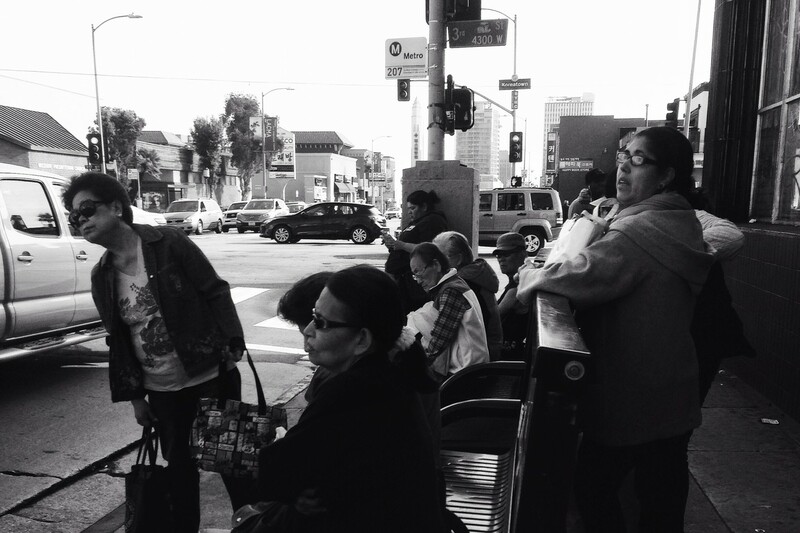 The ladies here are just as skilled as the more well-known and popular salons in Koreatown. At Moa, you get great service for a great price. I also like that this place is conveniently located near our family business. I judge a Korean restaurant by the quality and quantity of its banchan (side dishes eaten with rice) as well as how tidy it is. Jun Won gets my approval. My favorite dish is eun-daegu-jorim (braised cod with sweet and spicy sauce). The sauce is delicious enough to be eaten on its own with rice and the cod is so tender it just falls off the bone. When I order this, sharing is a must since everyone wants “just one taste”. The restaurant also has parking and good service. Myung Dong is famous for its kalgooksoo and that is what I come here for. 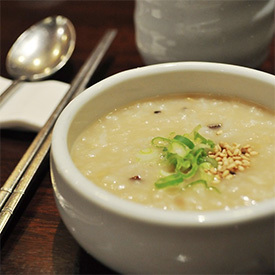 Kalgooksoo literally means “knife noodle” and is a handmade, hand-cut noodle dish served in hot soup. The noodles at Myung Dong are chewy, allowing them to sit in the piping hot broth without losing their texture. The broth has a clean and delicate flavor. This dish is perfect for cold nights, which I admit there aren’t that many of here in LA. 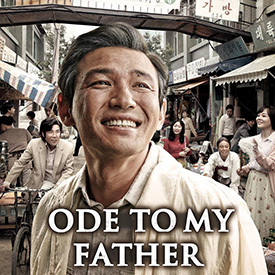 Sometimes the movies are a nice escape to laugh and cry. When I go to American movie theaters, though, I don’t always understand the storyline and have to depend on my kids to explain things. Even then it’s not that clear what’s going on. I appreciate that I can come here to enjoy films in my native language. I’ve never been able to resist a good cream puff and neither can my family. 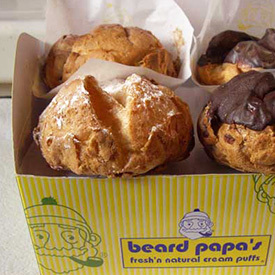 Beard Papa’s, an international Japanese chain, is everyone’s favorite, from my two-year-old granddaughter to my 72-year-old husband. Their made-to-order cream puffs are always fresh and the cream they use is not too sweet. They have several flavors but the original — vanilla — is my favorite. You can’t take outside food inside the CGV theater but Helen has been known to sneak a few in her purse for me. Our first apartment as an immigrant family was right around the corner so I get a big dose of nostalgia when I think of Taylor’s. 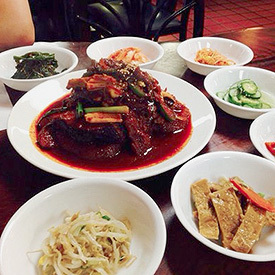 This steakhouse has been around since 1953 and has been at its Koreatown location since 1970. 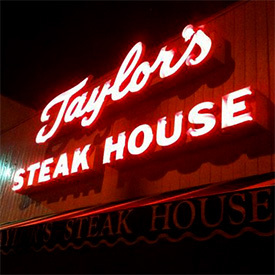 In the midst of all the changes that have gone on right outside its doors, Taylor’s is the place to experience steak the way your grandparents did back in their day: red vinyl booths, A1 sauce, the whole nine yards. You had me at “$1 happy hour oysters,” EMC. I can down about two dozen of these suckers in one sitting so this place enables my habit while easing the strain on my wallet. I could spend hours looking at everything in what is essentially a department store. It is incredible how much is so economically packed into the store. Kim’s carries everything from underwear to kitchen appliances to electronics — a lot of them imports from Korea — and is a madhouse around Christmastime. 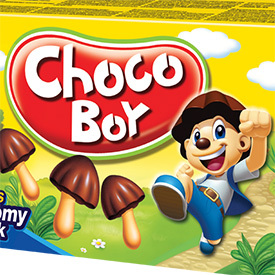 Choco Boy is … a mushroom? I know it seems odd to wrap up my list with a mortuary but death is an integral part of life, after all. Sadly, I was here recently for a memorial service and, in remembering funerals past, I realized what an institution this place is within the LA Korean community. I mean, I have never been to a Korean funeral anywhere else but here. Everyone knows that when there is a death in the Korean community, you drive just south of Koreatown to Han Kook Mortuary to pay your respects, then head over to Secret Garden Buffet to commiserate. It’s easy to stop by for well-priced produce and Korean food items after church on Sundays. Plus, HK has the best deal I’ve found on Choco Boy, my son’s favorite snack. There are several Cake House locations around town but this one is inside HK Market. Very convenient! This is the only bakery that carries choco-pan, a light chocolate bread with chocolate cream filling. I also love their white layer cake, a white chiffon cake with a light icing and a whipped, custard-like filling and fresh strawberries. 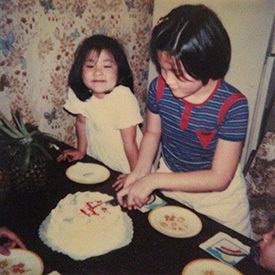 Every Korean who grew up in or around Koreatown is familiar with this cake because it showed up at practically every birthday celebration and special occasion. I need a little R&R and a good body scrub every now and then. This jimjilbang (public bathhouse and spa) is a little more expensive than other Korean spas but it features Aveda products and is quieter and less crowded. 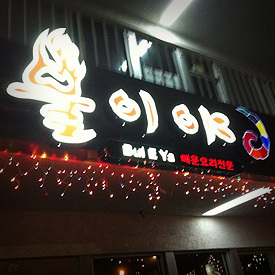 All Chinese restaurants in Koreatown feature Koreanized Northern Chinese cuisine. In my opinion, The Dragon is the best place in town for jajangmyeon, a noodle dish topped with black bean sauce, diced pork and vegetables. Jajangmyeon is a dependable standard yet can go very, very wrong. The Dragon gets it right with the perfect level of greasy carb-iness. I know David hangs out here a lot but my sole reason for stopping by this coffeeshop is their patbingsoo (shaved ice with sweet red beans). The original Kim 5 did a patbingsoo taste test a few summers ago and Koffea was the unanimous winner. The portions are big and the toppings plentiful. I don’t know about now but the last time I checked, they use ice cream from Fosselman’s, a local Alhambra-based creamery that dates back to 1919. This place is an ideal office away from the office because it’s relatively quiet and not too busy. I can stay here all day, get free refills on coffee and even meet clients for criminal case consultations from time-to-time. They also have pretty good pat-bingsoo. Tom N Toms is a Korean coffeeshop chain that has quite a few locations in Southern California. There is one that’s open 24 hours on Wilshire (3240 Wilshire Blvd #102) but I like the one on Vermont. It’s filled with an interesting mix of normal people and degenerates (haha) and the bathroom is clean so you can drop a deuce comfortably (sorry, but it’s the truth). They always have frozen, not watery, slurpee. This is very important. This late-night bar and eatery in Westlake is one of many after-hour drinking places in/near KTown where you can keep the party going until four or five in the morning. These after-hour places are surprisingly blatant about their existence even though they’ll get fined and probably have their licenses suspended if caught. That’s why I feel okay talking about it here. There’s not much secrecy — you just walk right in and ask for a seat. The place is hopping right now, though, so if you don’t get in the door by 1am, you probably won’t get seated. Their late-night greasy fare (mostly Korean) is not that great but, hey, desperate times call for desperate measures. The karaoke place next door (Quegori Norebang) is also popular. Don’t come here expecting Garden Grove or Alhambra-quality pho. But of the pho places in Koreatown, this is the most decent and very popular. You can ask for more noodles and broth, which they provide for free. I’ve only ever asked for two additional servings but my friend Cuong’s impressive personal record is four. Open till 4am.